MiddleOak Habitaional | Special Feature | Valuable Articles | Webinars | TRIVIA! MiddleOak's target market accounts are well managed, well maintained, and controlled by experienced owners and management personnel. This program is designed for the successful professional property owner who demonstrates the proactive management skills necessary to secure responsible tenants and maintain the properties in good condition. Good property maintenance is important in controlling losses and not only includes regular property visitations and upkeep but also includes the adequate updating of the roofs as well as the electrical, plumbing and heating systems. The depth of the landlord's management skills, experience and proactive maintenance measures are reflected in the pricing of the overall risk. Worlds Apart® is a property and liability program for apartment classes where the insured owns and insures a minimum of 11 rental units on the policy. Occupancy types include; apartments, student, senior, affordable housing, well-maintained dwelling schedules and high value buildings. Capsure® is a property and liability program for condominium, homeowner and cooperative associations with a minimum of 11 units. Occupancies include primary, secondary and non-owner occupied. Want to know what risks get preferred pricing? Please review this target market sell sheet. To learn more about this market and speak to the program manager, call/email Rob Keller directly at 860-638-5115 rob.keller@middleoak.com. InsurBanc recently provided funding and guidance to an agency looking to transition to new ownership. Ascend Insurance Brokerage, a firm with a niche in the entertainment industry, turned to InsurBanc when owner Paul Bassman was looking to buyout his retiring partner, James Chippendale. When it came time to transfer ownership and refinance existing debt, InsurBanc was there to finance the deal. "Just like we have clients all across North America who pick us for our specialty, we picked InsurBanc because of their specialty in the insurance world. The end result is that now we are poised with a very liquid footing, with a bank relationship that we can count on going forward," said Paul Bassman, principal of Ascend Insurance Brokerage. 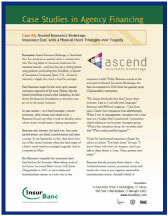 To read more about how InsurBanc provided the funding Ascend Insurance needed, click here. Learn more about InsurBanc, the bank founded by independent agents for independent agents, at www.insurbanc.com. Who's Buying Jewelry for Whom? If you're going to treat yourself, you might as well go all out and few things set a standard as well as jewelry. Jewelry symbolizes the fulfillment of many of the higher needs psychologists tell us are important to human happiness, such as security, love and self esteem. This New York Times article reports that women are buying more jewelry for themselves as a reward for successes in their personal lives or careers, or as an investment. Since women start more than half of all small businesses this trend is likely to continue. Women are also more likely to pick out their own engagement ring. And if you're thinking of popping the question or think you might be the "poppee" remember that online tracking ads could start showing jewelry, especially rings, as you browse the Internet, which might be seen by your significant other. Regardless of who does the buying, covering these valuables at the right amount requires expertise in the field, which is exactly what you can expect when working with Big "I" Markets to access Crown Coverage's Valuable Articles markets (personal & commercial) written on AXA Insurance Company paper. The Stand-alone Valuable Articles Program - [Commercial or Personal] shines on www.bigimarkets.com and is available in all states. * Earthquake restrictions apply in California. Windstorm coverage restrictions apply in Florida and coastal locations. Wednesday, December 7 - 2:00 - 2:30pm EST. 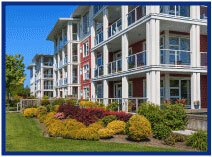 AIG Private Client Group for affluent homeowners. This webinar will cover what qualifies as a collectible car, (classic, antique, exotic, etc.) plus the features of their Automobile coverage. The Big "I" Professional Liability/Swiss Re Corporate Solutions quarterly risk management webinar has been set for December 8, 2016 at 2 P.M. EDT. "Agency Risk Management Essentials: Is your website doing more harm than good?" will focus on the risks associated with insurance agency Web site content. The discussion will be presented from the viewpoints of an agents E&O underwriter, an auditor, a claims specialist and defense counsel and will include dos and don'ts when it comes to web site content. Panelists will include senior Swiss Re Corporate Solutions staff, and the session will be moderated by IIABA's Jim Hanley, RPLU, Director Agency Professional Liability Risk Management. Big "I" Professional Liability welcomes suggested questions related to the topic for discussion during the session. Please email Jim Hanley no later than November 30th with your thoughts. Register for the complimentary session today. No Continuing Education credits are offered for this webinar. December 5 - 2:00 - 2:30pm EST. "First Monday LIVE!" is a free monthly webcast hosted by the VU's own Bill Wilson and guests on the first Monday of the month to discuss the wide world of insurance from seemingly non-insurance topics. Each 30-minute webisode covers "what's going on" in the news and the implications. The December broadcast is in development as subject matter is explored. Click here to learn more and register and here to access the recordings. December 7 - 1:00 - 2:00pm EST. "What I've Learned in 47 Years In the Insurance Industry". A free webinar with parting thoughts from Bill Wilson who is retiring at the end of 2016 and whose career began in June 1969 when he graduated from high school and worked during the summer for the industry organization that had granted him a 4-year scholarship to college, majoring in fire protection engineering. Over the next 47 years, his career morphed from engineering to management to education, serving largely insurance carriers then independent insurance agents. Over the time, he's learned a few things you might find helpful. Click here to register. 1. D-Flawless is the highest rating given to diamonds. What is the worst? 2. On this date (November 29th) in 2004 this big actor finally got a star on the Hollywood Walk of Fame. His debut was in 1954. Name him. 3. What is the maximum age of a building under the MiddleOak program? TB - Mentioned in the Case Study linked in the InsurBanc feature, in what business field was Paul Bassman before insurance? Congratulations to our agent in Utah on a non-standard condominium sale of $1,900 in premium!